This home is located in Hardisty AB. and is 2 blocks from the hospital 1/2 block from fire hall and 3 blocks from the school ,2800+ sq.ft , 4 level split , with 3 bedrooms and 2 bathrooms upstairs , kitchen , livingroom, and dining room on the main level . Family room , rumpass room , 2pc bathroom and 1 bedroom on bottom 2 floors also a 2 car attached garage with 220 wiring,4 car driveway , plus a seperate parking area for holiday trailer. Sitting on 2 very large lots on a corner with Fully mature shade trees , 6 apple trees , pond and waterfall. Inside has recently been completely painted , lots of new flooring ,new light fixtures, hot water tank 1 yr old , water softener 5 yrs old , new fence and new shingles in the last 2 yrs. Hardisty Tank Farm is growing and will continue to do so, there's LOTS opportunity for this home to be a viable rental for the Tank Farm workers, with 4 bedrooms renting anywhere from $600 - $800.00 per bedroom and sharing the rest of the house. It's a GREAT monthly income. This property for sale has been tagged by the seller as close to Camrose, Killam, Wainwright, Alberta. This seller is willing to negotiate a flat fee commission with any real estate agent who brings an acceptable offer from a qualified buyer. 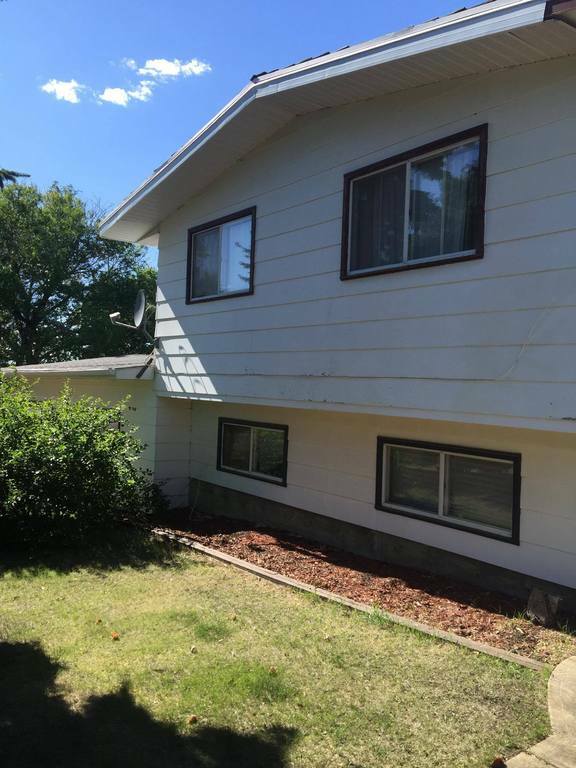 Thank you for viewing this For Sale by Owner property in Hardisty, Alberta.